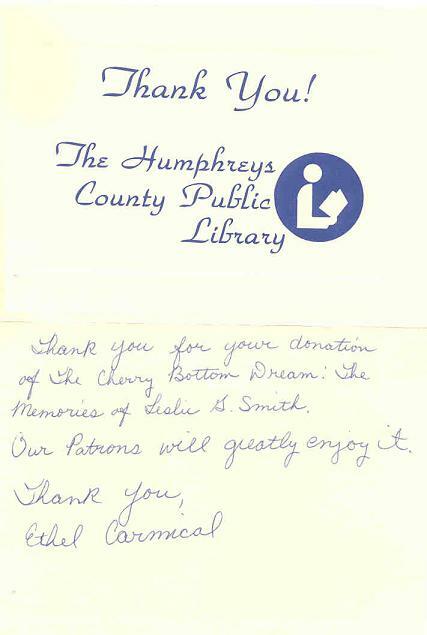 This site contains the on-line editions of The Cherry Bottom Dream. This book was written by Leslie G. Smith of Memphis, Tennessee about his early life, growing up in Middle Tennessee. There are two versions available. The first is a web page that contains the entire text of the book. This file is about 450K in size, and will load into your web browser rather quickly. The second version is the complete book, including photographs, in Adobe PDF format. This file is about 8.5MB in size and is quite large. You must install Adobe Acrobat (free download) to view this file. Be sure to click on the Get Acrobat button below if you do not aready have the viewer installed.